Our campsite, on the banks of the river, for your holidays in the Dordogne! Share some good times in the Black Perigord. 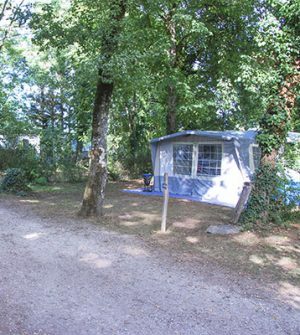 Choose our 3-star campsite for your holidays in the Dordogne! La Sagne *** campsite, located near Sarlat, Domme, La-Roque-Gageac and other major historical sites, welcomes you to the Dordogne for your ideal holiday. 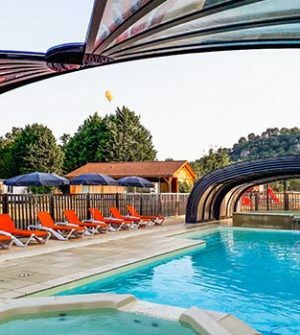 Come and dip your feet in the water, lazing by the poolside in our heated indoor swimming pool area, with a paddling pool and a jacuzzi…all set in the Dordogne with direct access to the river from the campsite. In a calm, enchanting environment, in the middle of nature – whether in the woods or under the sun – choose the campsite rental that suits you. Choose to stay in one of our top comfort mobile homes, house-tent, furnished tent, or on one of our spacious campsite pitches in your tent or campervan. 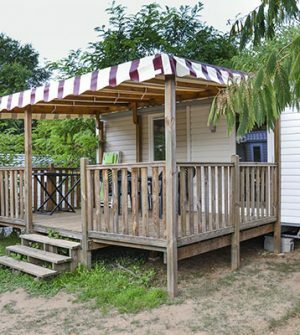 Whether you go for one of our top comfort mobile homes or a furnished tent, in the middle of the woods in the shade, or in a sunny spot, our pitches are spacious and will guarantee pleasant holidays close to nature. 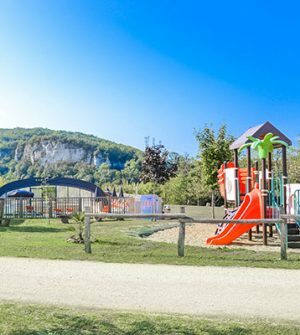 At the heart of the Périgord Noir region, 8 km away from Sarlat with plenty sites nearby to visit, La Sagne campsite welcomes you to the Dordogne riverside in a nature-filled family location – with a hundred-or-so pitches spread over 3.5 hectares. We offer top quality rentals, and also camping pitches with water and electricity, in the shade or in the sun – whatever you like best! Enjoy our 25-degree heated pool, whatever the weather conditions because our pool has a telescopic roof! Sit back on the bar terrace and enjoy a thirst-quenching break after a day of adventures in the Périgord Noir region. – Via A20: take Souillac exit, follow directions for Sarlat, then Carsac Aillac, and Vitrac / Montfort. -Via Périgueux, follow directions for Sarlat and Les Eyzies, then Vitrac Port (don’t follow directions for Vitrac Bourg), follow Carsac / Montfort. 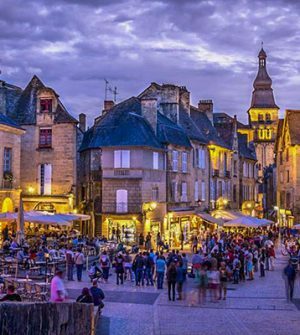 -Via Bergerac, follow directions for Sarlat up until Beynac, then follow directions for La Roque Gageac and at Vitrac Port, (don’t follow directions for Vitrac Bourg), follow Carsac / Montfort. For our first camping experience, we were lucky to pick La Sagne campsite. We were pleasantly welcomed by young but experienced campsite owners. They were friendly and always ready to help, just like the rest of their staff. Our son had fun in the kids club and loved the swimming pool. The campsite is ideally located if you’re looking to visit the magnificent Dordogne region. Quiet and relaxing, by the river. Friendly welcome. Very clean and comfortable rentals. We liked everything! The entertainment was great. Maybe it might not be what some people who are less simple than us might enjoy, but honestly, the tranquility and kindness was everything we could have hoped for. The campsite is ideal for calm holidays and we definitely recommend it!